The latest Opera 11 release introduced a slew of new features which included the support for third party extensions. 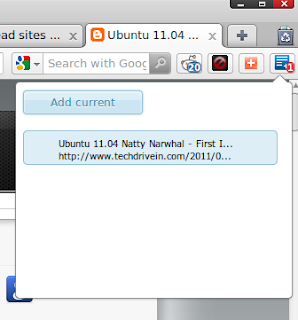 There is nothing new about it though, since Firefox had addons support like for ever. 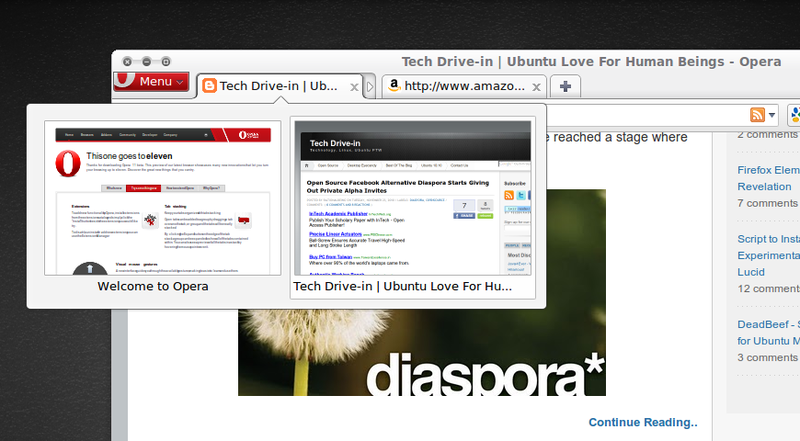 And Opera gradually became the most awesome browser that nobody uses. Let's just hope that the new changes brings in new users as well for Opera. We had already featured top Firefox addons that enhances browser safety and privacy some time ago, now here is a collection of incredible Opera Extensions that matter. Reddited extension is dedicated to all reddit addicts out there(me being one). 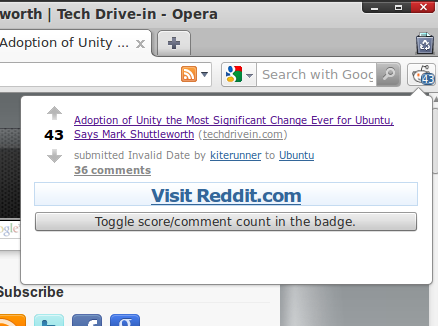 A reddit button in Opera's UI(ref: screenshot below) that shows if a site has been reddited already, and provides a comment count if it has. 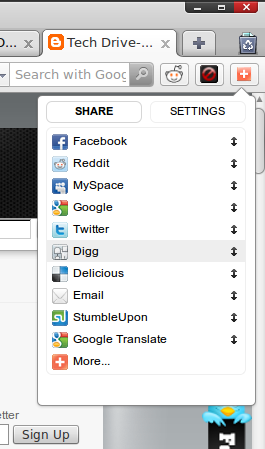 It also has an option to an option to switch between showing the "Score" or "Comment count" in the badge. BugMeNot extension lets you overcome those annoying websites that force you to register. 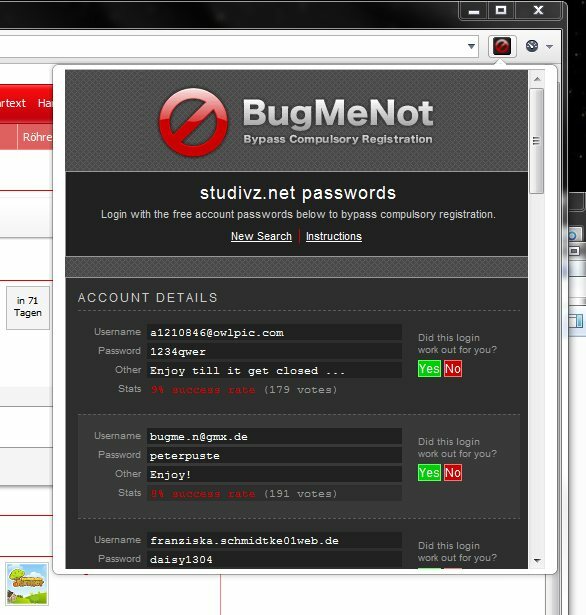 If you ever encounter a web page that force you to register, just hit the BugMeNot button and you will be greeted with some nice free login details(in most of the cases). One among the most useful Opera extension out there. With AddThis extension you can easily share any content to the most popular services including Facebook, Twitter, Reddit, Delicious, Digg, StumbleUpon and many more. Very useful that lets you remember to read those articles in the web which you skipped reading in the first place. It is basically a temporary list of web sites you want to read later. YoutubeSoundRipper does exactly that, ripping music from YouTube videos as MP3. Using this extension, you will be able to download any video from Youtube as MP3 music file(other formats are also supported). 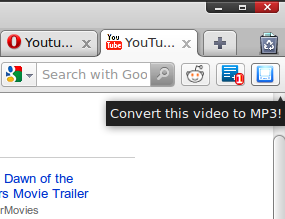 Just click the blue extension button located in your Opera toolbar when in Youtube video page, wait for audio conversion to finish and download your file. 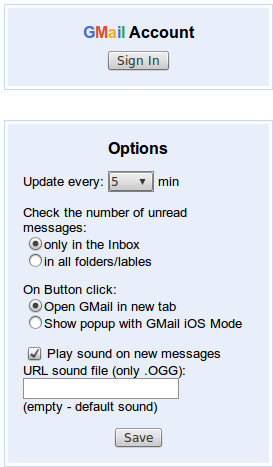 Gmail Checker is a simple Opera extension that periodically checks your Gmail inbox and shows the number of unread messages. FastestTube extension lets you download videos from YouTube without a hitch. You might also want to check out the easiest method to download YouTube videos in Ubuntu. Download Helper extension helps you in different ways to download files from popular file hosting services like megaupload, hotfile, depositfiles, 4shared, mediafire and many more. 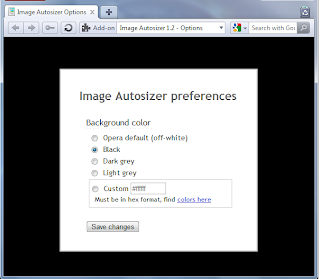 Image Autosizer extension lets you resize large images to fit your window and adds ability to pan them with your mouse. And its all very easy to use. 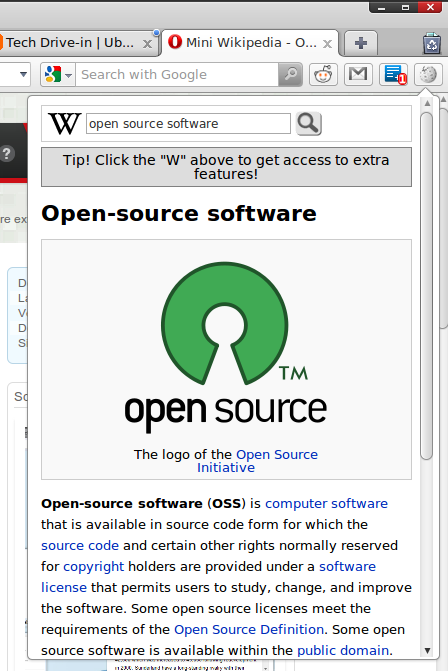 Mini Wikipedia extension is basically a small Wikipedia popup for quick reference. This useful extension lets you search Wikipedia for topics without actually visiting the website. 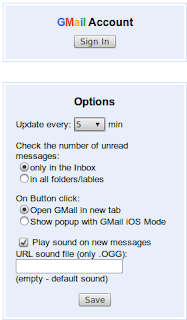 One of the coolest and most useful extension as far I am concerned. 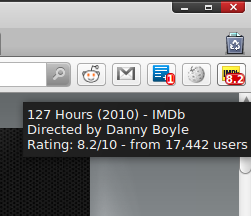 Using this extension, you could get IMDb rating or open movie page for highlighted text. Simply select movie name on the page (any text) holding the Ctrl key down and get the movie rating on the icon instantly. A very simple todo list written in HTML5. Stores information locally, so no need to be online to use it. 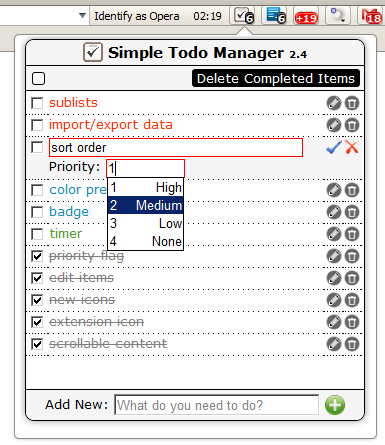 You can add todo items, Edit them, Mark items as complete, Prioritize the items as High, Medium or Low and of course delete items that are no longer required. 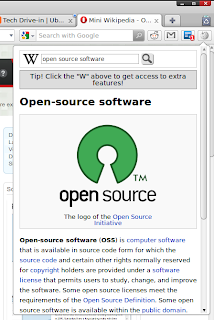 Hope you all enjoyed this list of top 12 useful Opera extensions. I had a terrible time trying out one of those extensions in Opera though. It's called WOT or web of trust which had a terrible memory leak. It almost crashed my system which itself is a rarity being a Linux user. Meanwhile, you might also want to browse through our awesome collection of top 12 useful Google Chrome extensions for web designers.